Tiger Woods is playing this week’s Waste Management Phoenix Open with his new Nike Golf TW ’15 shoe – the latest (and best looking) signature golf shoe in the TW family and the first to feature Nike’s breakthrough Flyweave technology in the upper. The TW ’15 is the latest collaboration between Woods and Tobie Hatfield, Nike Senior Director of Athlete Innovation. Woods debuted their first project as a prototype at the WGC Bridgestone in 2011. Since then, each generation TW-series has featured a Nike Free-inspired outsole. The TW ’15, according to Nike Golf, integrates Dynamic Flywire into a Flyweave upper with a Nike Free outsole. The result, the company says, is a golf shoe that provides the “ultimate level’’ of stability, fit and flexibility. 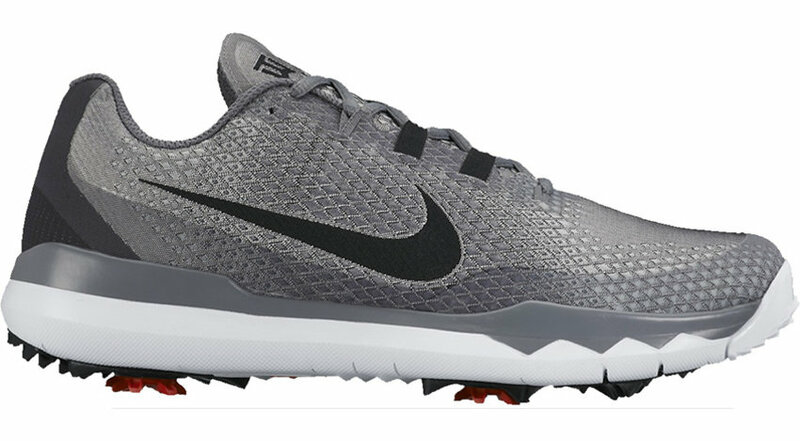 Nike Golf says Flyweave enables the creation of a one-piece upper that is woven to provide great strength-to-weight support where it is needed most based upon the demands, or movements, of the sport. While strong and supportive, Nike Golf says Flyweave is also lightweight and flexible. Nike debuted Flyweave in a basketball shoe in 2014. Even though the dynamic movements of a basketball player’s feet are different from those of a golfer, each require stability and a natural range of motion. Due to the lightweight Flyweave technology and the golf-specific Nike Free-inspired outsole, Hatfield said designers were able to make the TW ’15 ten percent lighter than the previous model. A limited number of the Nike TW ’15 shoes will be available on nike.com beginning Feb. 2. The Nike TW ’15 will be available at retail – in three colorways – on March 5.